As a communication disorders major at Truman, you explore your interests through a variety of hands-on learning opportunities. You can present your research at Truman’s Student Research Conference as well as the Missouri Speech-Language Hearing Association convention. You can work with children through the Truman-RiteCare Early Literacy Lab. Each year, Truman offers a communication disorders study-abroad opportunity in Mexico. And your senior year, you can have your own client in our Speech and Hearing Clinic which offers testing and treatment for various speech, hearing, and communicative disorders. As a communication disorders major, your career options span speech-language pathology, audiology, special education, and other communication-related fields that allow you to use your expertise to improve the lives of others. At Truman, you can tailor your experience to fit your own personal interests by pursuing either a Bachelor of Arts or a Bachelor of Science degree and selecting a clinic or non-clinic option (we also offer a Master of Arts in Communication Disorders). Around 85 percent of our CMDS majors continue their studies at the graduate level. While competition is steep, our graduates enjoy a high admission rate to their first choice of graduate programs in speech-language pathology and audiology. Some CMDS students also use their foundation in CMDS to pursue other fields at the graduate level. Recent examples include elementary education, occupational therapy, rehabilitation advocacy, deaf education, chiropractic school, medical school, law school, and religious studies. 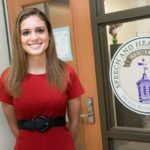 As an undergraduate, completing 25 hours of observation in the Truman State University Speech and Hearing Clinic allowed for my observation of clients ranging from preschool age to elderly adult age with a variety of disorders: articulation disorders, voice disorders, phonological disorders, language disorders, and auditory disorders, to name a few.